Tile Mega Mart offer a huge range of bathroom tiles, wall tiles, mosaic tiles and porcelain tiles . We have 3 mega warehouses around NSW so come in and check out our large range of tile products and accessories today! Hunter’s Premier Natural & Engineered Stone Benchtop Fabricator. 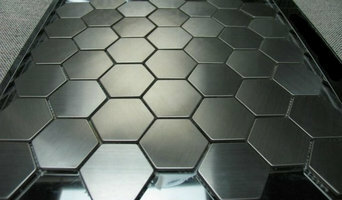 ExoTiles is an importer and online distributor for premium mosaic tiles. Unique designs made from materials such as stainless steel, glass, marble or shell. We deliver our range of mosaics Australia wide. Tile Warehouse has been providing quality tiling products, tools and advice for over 20 years. Commencing on the Central Coast in 1981, we recognised the need to provide high quality tiles at great prices in the Newcastle and Hunter region and introduced the warehouse concept to Newcastle in 1996. We are a family owned and run business, dedicated to the needs of customers throughout Lake Macquarie, Newcastle, Hunter, Port Stephens, Central Coast and surrounds. Our mission is to deliver exceptionally friendly and helpful service, low prices, choice, convenience and expert technical knowledge. Mirror Ceramics have over 10 years loca experience designing bathrooms and helping clients select tiles for all living areas for their home. As a local family business we have enjoyed the support working alongside local homeowners, architects and interior designers and many of Newcastle's local developers has given us. You can feel assured that you will receive fantastic professional advice and most importantly down to earth service from our team. We promise that you will always feel welcomed in store and comfortable to ask every question you have. 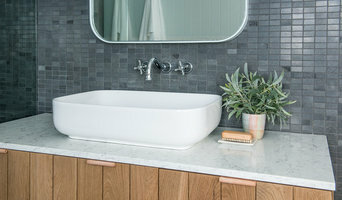 Not only do we have a full bathroom display at Mayfield's HIA Display Center, our Hamilton Showroom is filled with tiles, stone and bathroom fixtures from over 30 different suppliers. This ensures that you have choice and can always find selections to create the home you have imagined. Both inside and out. For the past quarter of the century Ceramex built on the recommendations of our customers provide Stone tiling, Stone polishing and restoration and waterproofing. Proudly to Newcastle, North Sydney and the Central Coast. 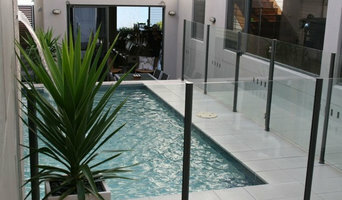 Many tile, stone and benchtop contractors in Newcastle, New South Wales work in tandem with plumbers in the bathroom. They can assist in a variety of common surfacing jobs, from installing shower pans to small grouting jobs. Furthermore, they can create and install murals, mosaics, and repair or replace any surfaces with chips, cracks or stains. Here are some related professionals and vendors to complement the work of tile, stone & benchtops: Interior Designers & Decorators, Architects, Building Project Managers, Kitchen & Bathroom Designers, Design & Construction Firms. Find Newcastle, New South Wales wall and floor tilers on Houzz. Look through Newcastle, New South Wales photos to find tile, stone and benchtop projects you like, then contact the contractor who worked on it. Browsing photos will also help you stay on top of the latest trends; subway tiles, for example, are trending in kitchen splashbacks, while stone and concrete benchtops are replacing tile or formica surfaces.